﻿ In the last 15-20 years, scientists have discovered much about how the brain develops and is connected for efficient processing. Their research shows that the brain has “neuroplasticity” or the ability to change how it functions. Brain re-patterning, then, is a term to describe the process of changing the neural connections in the brain from ‘inefficient’ patterns into more effective forms of processing. (For more information on the science, Dr. Norman Doidge’s “The Brain That Changes Itself” is an excellent resource). From the moment of conception on, there are many factors that can influence how efficiently a child’s brain is connected. Genetic predisposition, exposure to toxins before and after birth, birth trauma, the health of the baby, and the health of the parents from two years before the birth on, all influence the development of the child’s brain. What a baby experiences in her early years of life can also significantly influence how her brain forms connections for both movement and thinking. If the baby’s brain has been affected by trauma, toxins or injuries – or if the child has missed a key developmental step like crawling – the neural connections may not develop efficiently. Although the brain has the ability to be reprogrammed, this process is not automatic; it requires repetition and support. The more any neural pathway is used, the more the brain uses that as a ‘default’ pathway – even if this is inefficient or driven by anxiety. This is why rewiring the brain, while important, can take time. Brain development has been one of Jan’s passions since 1997, when she began training in EMDR. Since then, she has explored different ways of processing emotions, understanding brain-body connections, and enhancing learning through the use of Energy Psychology, Brain Gym, Structures of Intellect (SOI) and NeuroOptimal® Neurofeedback. Her enthusiasm to support children and teens with learning challenges also led her to partner with other educators to establish the Integrated Centre for Optimal Learning (ICOL) in 2004. 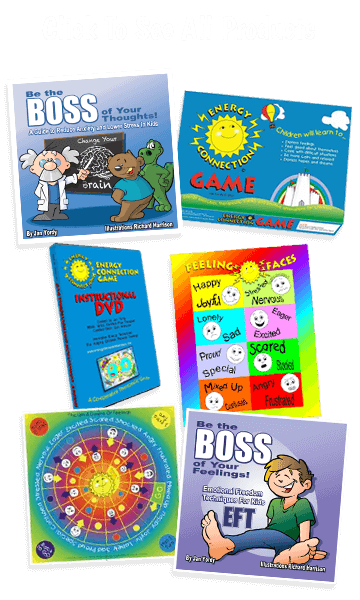 In the past Jan and her former partners developed a program that consisted of fun, whole-brained movement activities, reflex integration, Brain Gym exercises, Structures of Intellect programming and Neurofeedback. Individualized plans were created for each client, based on an intake process, a Brain Dominance Profile, and/or an in-depth SOI learning assessment. An understanding the child or teen’s emotional history (including stress, anxiety, trauma and negative beliefs) was also integrated, and recommendations for addressing any emotional blocks through counselling could be added to action plans. Between 2004 and 2013, ICOL’s unique program supported hundreds of children and teens to experience enhanced brain functioning and greater success in learning. In November 2013, Jan moved to a new, more spacious, centre to expand her services. Along with ICOL partner Sandra Milne, she continues to offer these comprehensive brain development and re-patterning services. For more information about the specific brain development techniques Jan draws upon in her work, click on the buttons below. To schedule an appointment, contact Jan.